Great vending accounts only come along once every three to five years, so it’s important to put your best foot forward when these potential customers come calling. 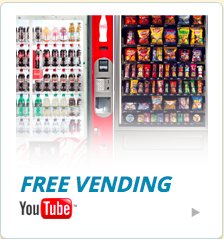 In the vending and OCS industry, a proven method for standing out amongst the competition is to create video content that demonstrates why your company is the right one for the contract. Are you familiar with the phrase “A picture is worth a thousand words”? Well, a video is worth nearly two million words. Research suggests that it would take 1.8 million words to equal the immediate impact of one minute of video. Furthermore, studies show that viewers are 64 percent more likely to do business with a company after watching a video about their product. These people also remain on that company’s website for an average of two minutes more than those who do not watch a video. Not only are videos more engaging to potential customers, but they are also the most effective use of your resources. Why waste your time writing millions of words when you could be creating videos that spotlight your strengths as a forward-looking, 21st century company? Instead, you can use all of that extra time on the things that already make your vending company successful. When a new product, such as the micro market, is introduced, it’s especially important to use videos to convey the concept. Having prospective customers simply read about a new type of product can be risky, since they might get the wrong ideas in their head. Creating the correct impression is key. With a video about your micro market, you can show customers exactly what you’re offering and let them picture what one would look like installed in their office. The micro market is the latest innovation in the world of automatic merchandising, offering more convenience and variety than a typical bank of vending machines. Rather than purchasing each item individually, the micro market customer takes any number of items from this miniature self-checkout shop and completes the transaction with a single payment at a designated kiosk. This new format allows for a larger focus on fresh, healthy foods, but everyone’s favorite snacks are usually offered, as well. Micro markets do not employ a clerk, so they’re ideal for secure, closed locations, such as the break room in an office building. Sounds like an interesting concept, doesn’t it? Just think how appealing it would look in a video. 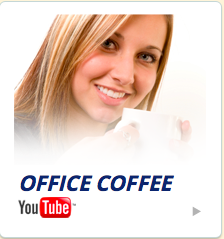 Check out our 3 sample videos below! 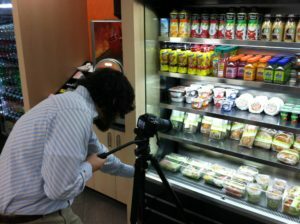 If you’re interested in getting a video made for your break room refreshment business give us a call at 866-699-8363. 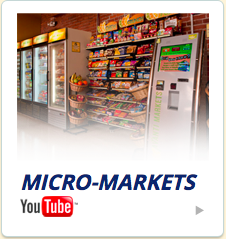 Want to know when that big Vending, Micro-Market or OCS account is looking at your website? Now you can with ZippyLead!